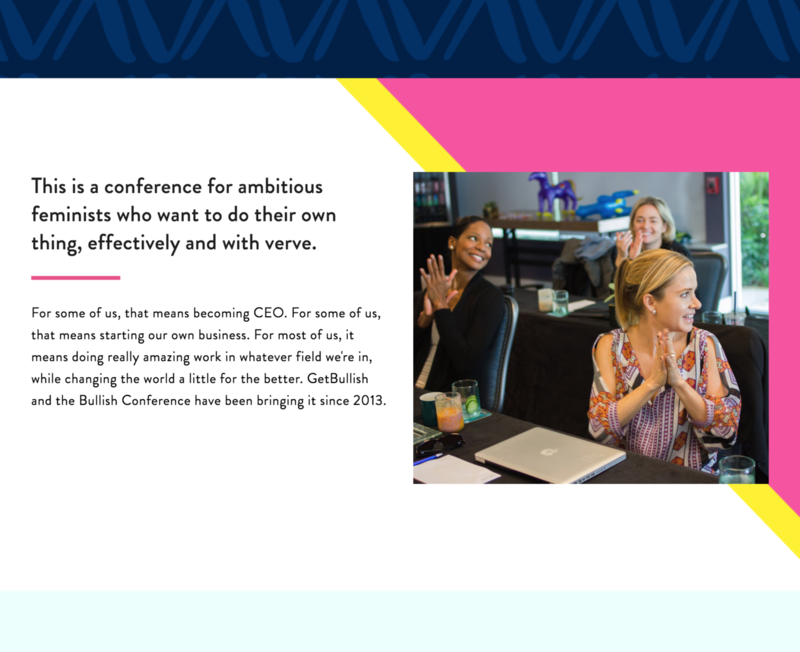 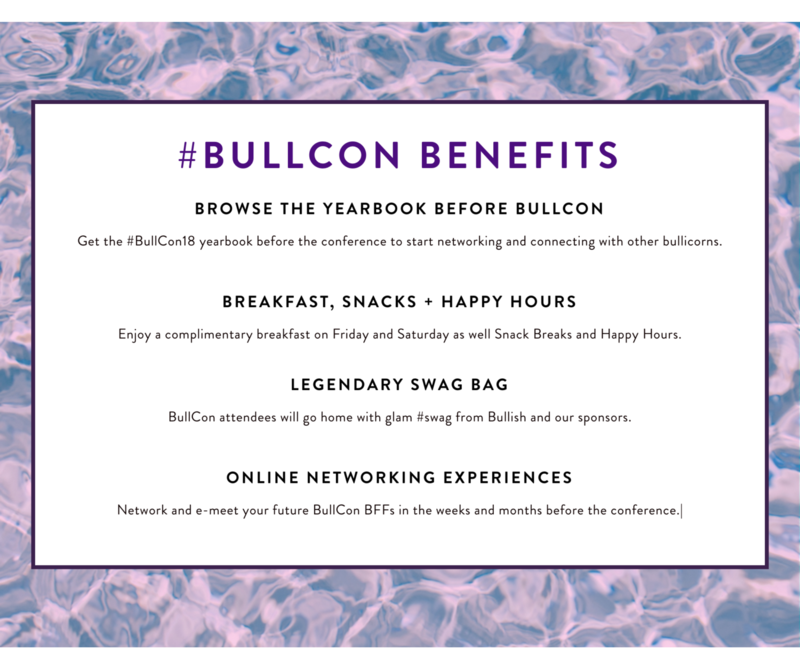 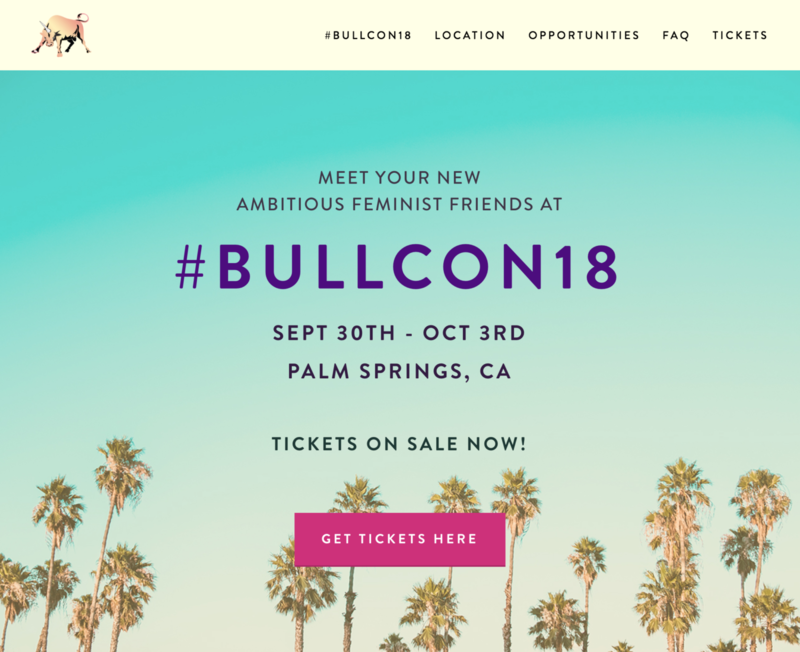 The Bullish Conference is a career conference for feminists who want to make the world and the workplace better. 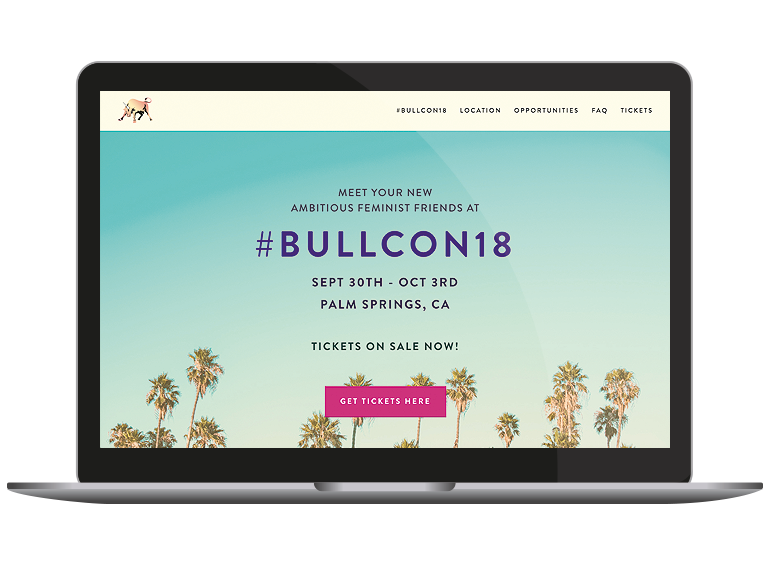 Used Squarespace to build a simple to update website for the event. 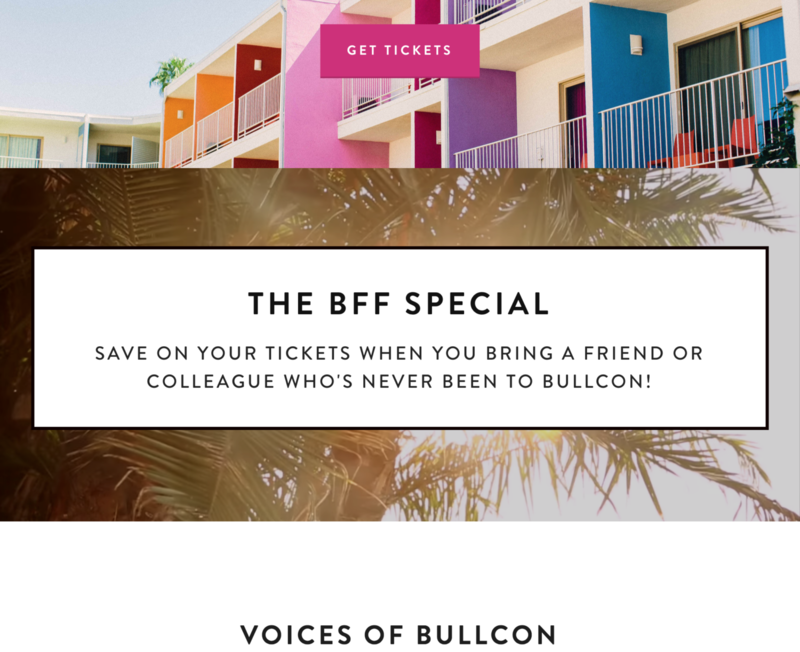 Created background graphics and branding to match the bright, resort vacation vibes of the event.